A Tribe Called Quest have been unequivocal about the fact that once they had finished promoting 2016 album We Got It From Here... they would call it quits. The announcement was made the in the wake of Phife Dawg's death in March 2016. The final date scheduled for the group came on September 9, the Saturday night at U.K. festival Bestival. During the show Q-Tip announced to the crowd, “This is gonna be our last show as A Tribe Called Quest, ever,” NME reports. Watch footage from the show below. 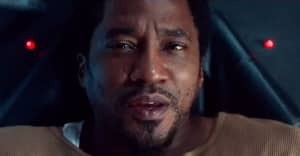 Q-Tip previously said the members of Tribe "don't intend on stopping" and told fans to "stay tuned for another incarnation." The FADER has reached out to the group's reps for comment.